Not all accident cases merit the expenditure of money necessary to obtain a traffic accident reconstruction expert. Often, the accident attorney is hired too late to provide a complete reconstruction report. At other times, there just is not enough information available to perform a true accident reconstruction. Sometimes, the accident attorney may make the decision that the case might actually be stronger without a reconstruction. The State police do most of the traffic accident reconstructions in Maryland, especially if there is a catastrophic injury or death involved. Perhaps the most important step in any traffic accident reconstruction is to obtain accurate information about the happening of the accident. Thus it is important in the investigation stage of the accident to obtain good measurements of all important data. These might include data from the scene of the accident such as tire marks, vehicle component marks, human contact points with the environment, exterior and interior vehicles marks, scene photographs, road friction measurements, vehicle center of gravity, yaw marks on the road, road curvature and the like. This data becomes invaluable in the final determinations as to causative factors in the accident. There are various diagramming methods used by traffic accident reconstruction experts such as the triangle method, linear coordinate method, cord method or any combination of these. Whatever method is used by the expert, the result ultimately is determined by original measurements. Even though driver error is the common reason for accidents because the driver determines the speed and direction of the vehicle he or she is driving, the vehicle itself responds to the driver's actions by accelerating, maintaining speed, slowing or turning. Sometimes it is important to determine more than just the intended response of the vehicle but also what the response was because of the vehicle itself as well as the road conditions and environment. In large cases where liability might be in question or where the Plaintiff might want to influence the jury to give a higher award because of the utter recklessness of the Defendant, a traffic accident reconstruction may be performed. This often means that an expert will be retained to collect and analyze data to be able to prove how the driver was affected by the vehicle, road or environment. Braking, steering and accelerating are important things to consider. Signs, buildings, trees should be considered in arriving at any conclusions requiring such observations. Curvature of the road surface can sometimes be important. Wind, temperature and visibility are considerations that can at times be measured to determine their influence on an accident. Trailer braking of a tractor trailer can cause jack-knifing because of the brakes locking. 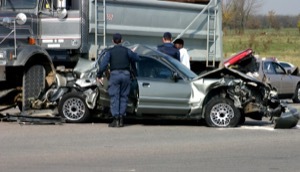 An expert can determine by many factors if that has occurred at an accident scene. Poor mechanical condition can lead to an accident and thus should be investigated in cases that it is warranted. Often, an expert is hired to determine the danger involved in a particular set of circumstances, the hazard involved and the risks taken by the driver. In the reconstruction of any accident it becomes important to consider the various factors that cause accidents. There may be a safety margin within which an accident might not happen. Speeding and fatigue might be factors that cause an accident. Wrong reaction or poor reaction to a set of circumstances might cause an accident. A wet or curved road might contribute to the happening of an accident. An accident reconstruction expert is hired to attempt to determine what actually happened throughout the time line of an accident. An accident reconstruction expert will analyze the facts of the collision. These might include crush analysis of the vehicles involved, the angle of collision, movement of the vehicles after the accident, the physical movement of passengers inside each vehicle, any signage or other marking at or near the scene of an accident, any possible crash test results by the manufacturer or any independent entity, speed of vehicles, braking distance relative to speed and other information available at the scene of an accident or through photographs. If there is some question about the actual injury involved in an accident, it becomes important for a human factors expert to determine what the relevant information is about the accident. Thus, he or she must rely on information provided by the accident reconstruction expert. If there is some doubt whether an accident could have been avoided, it becomes incumbent upon the expert to delineate either how the accident could have been made less significant or avoided altogether. Moreover, there might be a defense suggested that in spite of the accident itself the injury could have been less if proper steps had been taken by the Plaintiff to avoid injury. A review of the medical information could assist the reconstruction expert to comment on use of seat belts, restraints and the like. After a thorough analysis of all the relevant data, a reconstruction expert might then be able to provide a ranking of sorts to indicate based upon reasonable probability in their field of expertise what factors were involved in the accident and which of those factors most likely significantly contributed to the happening of the accident. Any complete investigation of an accident involves determining what the facts are concerning all elements of the accident, submitting the facts to an engineering analysis and supporting the analysis by any independent witness statements to the extent possible. 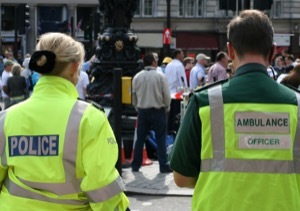 Usually, the initial investigation might be conducted by an on duty police officer. However, in catastrophic accidents, reconstruction experts are often brought to the scene of an accident immediately before evidence is spoiled. There are different levels of experts. Some can provide accurate measurements but not be able to interpret the data. Others can interpret the data into various calculations. Still others can provide a physics analysis that incorporate various considerations in the happening of an accident. The level of education and training an accident reconstruction expert possesses often dictates just how much the expert is able to do with the data of an accident. It is also important for the accident reconstruction expert to be able to consider actual variances in different motor vehicles in order to reach conclusions. For example, not each motor vehicle chassis is the same. Different layouts of the chassis might cause different results in a reconstruction report. Front wheel drive versus rear wheel drive could be an important consideration. Where the engine is located or frame design in the vehicle might be important. If the vehicle has 4 wheel drive or all wheel drive configuration impacts on expert analysis. The weight and payload of a vehicle, vehicle dynamics and the suspension system design could be a significant factor in a collision. So many different factors enter into a determination of the crashworthiness of a vehicle and the energy required to cause the physical damage to a vehicle. An expert in accident reconstruction might also investigate the tires of a vehicle. This might not only include the design of the tire but also the tire construction and performance, the tread, retread, tire balance, tire wear, tire defects and even installation of the tire. Often the steering system of a vehicle is a consideration in determining relative facts about an accident. A vehicle might have a rack and pinion steering system, worm and sector steering, gear system or power steering system, each of which might have its own advantages and disadvantages that an expert would consider in determining causative factors of an accident. A traffic accident reconstruction expert might also consider the braking system for each vehicle involved in a collision. Not only would the expert look at the basic components of the braking system, he or she might also look at the brake drum, the disc, the brake linings, hydraulic braking systems, any auxiliary braking systems available such as parking brakes, boosters, reducer valves, master cylinders, compressors and governors, air pressure reservoir and any safety valves. Air lines for trucks, wheel lock monitors, other ABS systems and even brake fluid would be examined if necessary. Obviously, one component of a thorough investigation might include the engine of the vehicle. The design of the engine, its power, its cycle, valve design, fuel air mixing, compression, cylinders, cooling systems and other components might be the subject of intense investigation depending upon circumstances. Similarly, the clutch mechanism, the transmission, shifting mechanisms, the drive shaft and final drive, the differential, and electrical system might also be components that an experienced accident reconstruction expert might review if appropriate under the circumstances of the case. Vehicle defects can play an important role in determining the happening of an accident. The National Highway Traffic Safety Administration supposedly investigates vehicle defects and provides reports to the Consumer Product Safety Commission. These are in the public domain and capable of being reviewed by any expert or lay person for that matter. In the event a vehicle defect had been reported yet not acted upon by the manufacturer or the defect led to a collision, this information could prove to be invaluable. Perhaps the most important function that an accident reconstruction expert can provide in a typical accident is a speed and/or braking analysis. The expert might measure straight line motion, circular motion or what is known as free flight motion. Speed calculations from skid marks might be possible whether it is on one axle non uniform, from yaw marks on the road or spin marks. Indeed, sometimes it is important to determine the combined speed of two vehicles to determine the actual severity of the impact. Still another function of the accident reconstruction expert might involve a discussion of the force involved in a collision and the amount of energy produced. Juries sometimes are more convinced of the severity of an injury if it can be proven that the force and energy involved in the impact is significant. When there is a dispute about the braking of a vehicle, the accident reconstruction expert can be invaluable in assessing the actual ability to brake in a certain distance and all the factors involved. Stopping distances sometimes becomes important where a defense of sudden braking is involved. Car, trailer, truck braking involve different calculations that only an expert can provide. The type of brakes as well as human factors with regard to response time can affect the results of any computations. Directional stability is likewise important in certain circumstances. Terms like axle load and coefficient of friction become significant in any analysis of braking. The ability of a vehicle to turn or of a driver to turn a vehicle sometimes must be determined as well by an expert. This could involve a computation of the turning radius or what is called the slip angle of the turning maneuver. There could be load transfers that affect turning. Speed certainly affects turning. Tire inflation and what is called wheel camber tends to influence turning. Indeed, in the catastrophic vehicle roll over cases an expert can be particularly helpful to the Plaintiff. Things such as reaction time, emergency braking situations, emergency steering situations, estimations of speed and distance and the effects of alcohol and or drugs on reaction time and the driver view field might be something an expert could determine with enough facts. One field where an accident reconstruction expert might be helpful is with the concept of passenger dynamics. Whether it involves what happens to an unrestrained or restrained passenger, the forces applied to a passenger, airbag considerations or seating conditions, an expert can assist the accident lawyer in evaluating all aspects of a claim. Even in a case where a vehicle strikes a pedestrian, an accident reconstruction expert could prove helpful depending upon the circumstances and the relative value of a case. An analysis can be made regarding speed based upon debris location, pedestrian location before and after the collision and the actual point of impact if enough facts are available and the case warrants such an analysis. Motorcycle accidents present different analysis considerations for the accident reconstruction expert. Factors such as speed, stability, control, braking, side sliding, high sliding, distance after impact and collision speed analyses can sometimes be made.